Stepping into Lebanon’s Square Market is like visiting a good friend’s home. Shoppers are welcomed by friendly faces, eye-catching décor and a variety of pieces that would be the perfect addition to their own home. Luckily, they can make all of the furniture and stylish items theirs — and there’s even someone to help with finding the perfect place for it all to go. 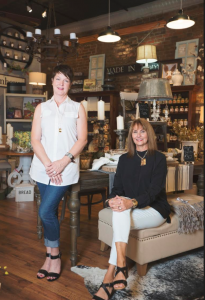 Behind all of the home décor pieces and charming gifts is Paula McDonnell, owner of Square Market. After retiring from nearly three decades at AT&T, McDonnell was ready to start the next chapter in her life. As luck would have it, so were the owners of Square Market. When McDonnell heard they were closing the store where she loved to shop, she decided to follow her passion and purchase Square Market from them in October 2016. 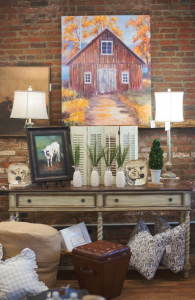 Located in the Historic Lebanon Square, the home décor shop has furniture, lamps, gifts, accessories, home décor items, jewelry, candles, rugs, Tennessee food products, pieces from local artisans and “anything you can think of to decorate your home,” McDonnell says. Some of their most popular items come from the EttaB Pottery line, which is handmade in Mississippi. These decorative pieces are safe in the microwave, dishwasher and oven, and McDonnell says they’ve flown off the shelves since they arrived in June. For people looking to show some local pride, they carry pieces like platters with the state outline, pillows with Lebanon’s zip code and other locally inspired pieces. There are pieces for every home, style and budget. “We try to have products that range in price so people can find something they can afford,” says McDonnell, who lives on Old Hickory Lake. She also saves shoppers time by bringing all of the styles, trends and décor pieces right here to Lebanon. With the motto, “We went to Franklin so you don’t have to,” McDonnell encourages people to shop locally first. 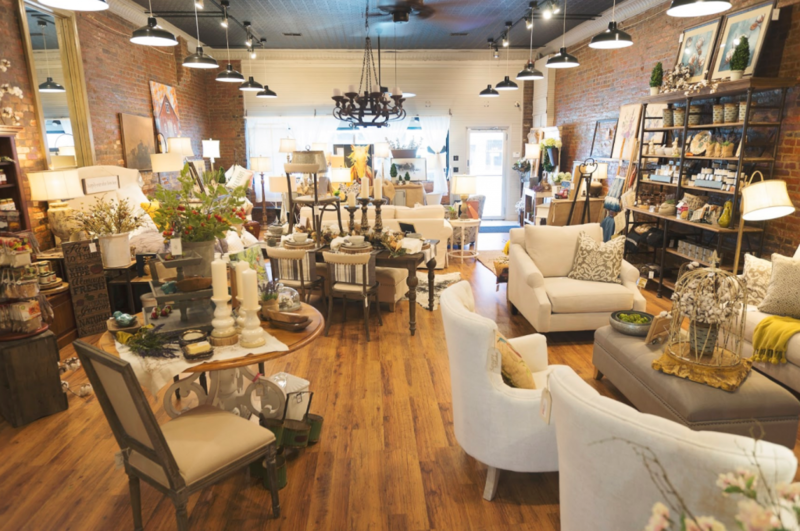 Besides being more convenient for shoppers in and around Wilson County, Square Market also sets itself apart with its focus on customers, which is at the heart of all they do. From greeting customers as soon as they walk in to helping them pick out the perfect item, the women at the shop keep the customers and their needs first. They even deliver furniture and other pieces for free. “We’ll help you out,” McDonnell adds. But maybe the biggest differentiator for Square Market is its in-house design expertise. Dell Karp-Farley, owner of DK Interiors, works onsite in collaboration with Square Market, offering free design consultation with a minimum purchase of $1,000. The pair met in January and discovered they were a perfect match to work together at Square Market. McDonnell had a variety of décor pieces, and Karp-Farley brought her years of design experience — giving customers the complete package. “I always like to say I was born to be a designer/decorator,” Karp-Farley says. From moving her mother’s furniture as a child to having her own business for 25 years, Karp-Farley continues to follow her passion for design at Square Market and beyond. With an office in the back of the store, Karp-Farley offers a complete array of design services. She helps with everything from designing small spaces to choosing the color schemes for the interior and exterior of a home. If a customer purchases a custom sofa from the store, for example, Karp-Farley can design a layout for where existing and new furniture should go. 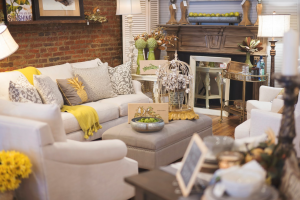 So whether someone is looking for a small gift or a complete home makeover, Square Market has something that’s sure to meet their décor needs. Square Market is located at 115 S. Cumberland St. in Lebanon. They are open Tuesday to Friday from 10 a.m. to 5 p.m. and from 10 a.m. to 3 p.m. on Saturdays. For more information, visit Squaremarketlebanon.com, email squaremarketlebanon@gmail.com or call 615-965-2595.